First of all,a "Happy Independence Day".You might know the lyrics of some of the popular patriotic songs, but have you ever wondered how these were penned? 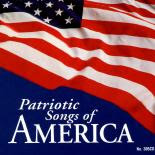 We give you the details of some of the songs like "Yankee Doodle","The Star Spangled Banner ","My Country 'Tis of Thee / America", "God Bless America"
Though often played during events commemorating America's revolutionary era, "Yankee Doodle" was originally sung prior to the Revolution by British military officers who mocked the unorganized and buckskin-wearing 'Yankees' with whom they fought during the French and Indian War. It has become Connecticut's state song. "The Star Spangled Banner," sung to the melody of a drinking song "To Anacreon in Heaven," is based on a poem written by Francis Scott Key called "Defense of Ft. McHenry." During the War of 1812, Key overheard the British plans for attacking Baltimore while on board a British ship under a flag of truce trying to negotiate the release of a local doctor. The British, unwilling to release Key or his fellow negotiator, held these Americans on board as the British navy attacked Fort McHenry. Upon seeing the American flag still flying in the morning as his ship entered Baltimore harbor, an inspired Key wrote his famous poem. "The Star Spangled Banner" became America’s national anthem by President Wilson's executive order in 1916. Congress would confirm this order in 1931. Samuel Smith wrote this song while studying in a seminary outside of Boston, MA. Based on the melody from Britain's national anthem "God Save the King," it was first performed in 1831 at a children's Independence Day celebration in Boston. "My Country 'Tis of Thee" went on to become the de facto national anthem of the United States for most of the 19th century. Irving Berlin wrote this song in 1918, but its tone was not in line with the comedic show for which it was written. When looking for peaceful song as war loomed in Europe two decades later, Berlin pulled this tune off the shelves and modified it to reflect the current conditions. The radio broadcast of Kate Smith's rendition of "God Bless America" on Armistice Day in 1938 rocketed this song to national acclaim. Woody Guthrie, unhappy with Berlin's song, wrote "This Land is Your Land" in 1940 in response to this patriotic tune.